Should any questions arise while you are planning your Orlando vacation consult our extensive list of frequently asked questions below. For answers to questions not listed please contact our office for additional assistance. Once you have chosen your Orlando vacation rental home you may book directly online 24/7. Simply click on the BOOK IT NOW option and follow the prompts. If the Florida Gold Vacation Home of choice does not state this, then please email us at [email protected] or call us on 888-516-0888 and we will gladly assist you. When making your reservation we require a $250.00 non-refundable deposit, which is applied to your total booking amount. The balance of the payment will be due 30 days prior to check-in and is non-refundable at that point. 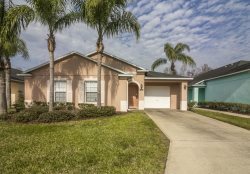 Will I stay in the Orlando area vacation home I have specifically chosen? Yes. If you have chosen and booked a specific Florida Gold Vacation Home of your choice you will stay in that very vacation home. If for some unforeseen reason we have to move you to another Orlando vacation home you will be located in a vacation rental of similar style and/or location. If this is not possible then a full refund will be offered. Where are the vacation homes located? All of our Orlando vacation rental homes are based in short-term rental communities which are located within 15-20 minutes of Walt Disney World. More details can be provided on the specific location of particular homes if required. Please look at our map for locations of the major communities. All of our vacation homes have strict No Smoking policies. You may smoke in the pool area and most homes provide ashtrays outside for your use. Are the Homes Licensed for rental? Yes, all of the vacation rental homes under our management are licensed according to the Florida Department of Business and Professional Regulations. We also hold Operating licenses for each county in which our homes are located. Florida Gold Vacation Homes is also licensed to do business in the State of Florida. Yes, we do. Please call or email to discuss your particular requirements. We have many Florida Gold vacation homes in close proximity to each other. We can help you find the perfect Orlando vacation home or vacation homes for your Family Reunion or group event. Check-in is at 4:00 PM, unless an early check-in has been pre-approved by the office. Check out is at 10:00 AM, unless a late check-out has been prearranged and confirmed by the office. Although many of our Florida Gold vacation homes do not allow pets, we do offer a number of Orlando vacation homes which are "pet friendly". Pets must be pre-approved at the time of reservation and a non-refundable pet fee will be charged. What is stocked in the kitchens? We provide all dinnerware and flatware, a variety of utensils for cooking/baking/serving/etc. All major and minor appliances including, toaster, and coffee maker. What else do you supply in your Orlando area vacation rentals? We provide one trash can liner, a small soap in each bathroom, a sachet of laundry detergent and paper products to start off your stay. Refills can be purchased from a local store or you can order a welcome pack to be in the Florida Gold vacation home prior to your arrival. All of our Florida Gold vacation homes have telephones in them. Some offer FREE international calls. Please check if this service is available at the vacation rental home you would like to rent. What appliances are in the Florida Gold Vacation Homes? Appliances vary by Florida Gold vacation rental, but generally most include full size washer/dryer, dishwasher, oven/stove, microwave, blender, toaster, coffee maker, telephone, television, DVD player, alarm clocks, iron and ironing board. Some of our vacation rentals offer internet facilities as well as games consoles. Please note that not all units are stocked with these appliances. Please inquire for amenities specific to a vacation rental home. Yes, we provide all bed and bath linens for every Florida Gold vacation home. Do your Orlando area vacation homes have air conditioning or heat? Yes, all of our Orlando vacation rentals have both Air conditioning and Heating. Some Florida Gold vacation homes also have ceiling & free-standing fans. Please ask if you require any additional information. Do I need to have the pool heated? Florida Gold is open From Monday to Friday 9:00 AM - 5:00 PM EST. We are closed on weekends, Public and Bank Holidays. We do however have an emergency phone service for any urgent issues that might occur outside of business hours. You will be provided with this number at the time of check-in. Contact Us for more information about how we can help you with your Orlando area vacation rental needs!